Clarence Seedorf, the new manager of AC Milan. The majority of this profile was originally published on 2 April 2008 at World Football Commentaries. 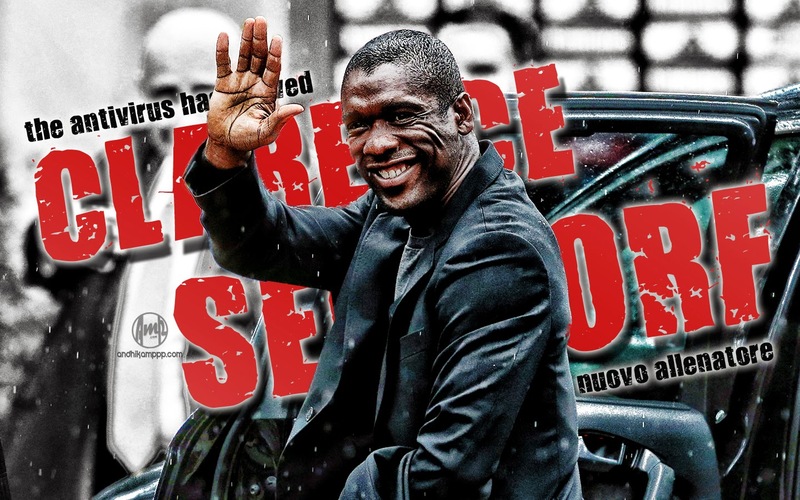 I have added Seedorf's brief farewell to Milan on 21 June 2012, quotes (25 November 2013) about his future in coaching along with more recent comments by Carlo Ancelotti and the Dutchman himself, respectively, on his new Milan adventure. I have just made a recent update to reflect Mr. Seedorf's perspectives on racism. He made comments on that topic that were transcribed by La Gazzetta dello Sport on 21 February 2015. "We have much to do to bring back Milan to high levels. I'm very happy. Two years ago, President Berlusconi had foreseen everything. You can't say that I have returned because I never went away. At this time, I feel a great emotion and sense of duty. I left Milan in May 2012 at the close of a cycle. My work will be to reopen another one." "The Professor never makes a mistake. He has a great personality and is a connoisseur of football. When I have met up with him, he always had the right opinion about games and I'm sure he'll do well." ---- Cesare Prandelli quoted on 16 January 2014 by Corriere dello Sport. On selected quotes from his first detailed press conference in Milan on 17 January 2014. On press conference comments by Clarence Seedorf from Brazil in January 2014. On comments by Carlo Ancelotti in January 2014. On Phil Jackson in 2013. On his retirement from Milan in 2012. On some of his achievements on and off of the pitch. On when he will retire and his future at Milan (from 2008). On the system in place in world football (from 2008). On his criticism of world football (from 2008). On the inconsistency by Italian football authorities (from 2008). On racism in February 2015. "I'm happy to have returned home with a lot of desire to transmit a little bit of enthusiasm and happiness. Both are fundamental to play football. The difficult times are taken into consideration and analyzed thinking about how to resolve certain problem areas. But without never losing sight of the qualities and capacities of this team that hasn't been able to express its value. I have no doubts. We'll get back to what we were before. You need desire and optimism. It's easy to win and get results win you play well. I'm sure that we'll be able to do it. The table is an ugly beast. We have to rediscover team spirit. We need time and the support of the part of our fans. That 12th man that I knew in the course of my career. I've seen many games of Milan and believe that these lads deserve more than they have achieved. I'm sure it will be like this." "How do I experience this pre-game period? It's strange, but I feel very good. I thank Milan for this. We have to take on things with balance. Then, I like my coaching staff. Mauro Tassotti is 'super' important. We are already working quite well together. I want to build a new career in a place where I achieved splendid satisfactions. I have to show everything. I like the challenges. I'm ready for the challenge, but it will be the results that certify my work." "You don't lose your DNA. You can have some virus, but the anti-virus has just arrived. After the departure of the 'Senators' (experienced Milan players), a gap of values was created. I want to rebuild the values of Milan. I'll play with a 4-2-3-1 because I want to take advantage of the great qualities we have in attack. And to develop an offensive style of play. The lads? I want to create a great rapport and transmit the desire to work and break free of this situation. Surely, I'll be myself. The role is one of etiquette." "Ricky? I'll find a friend again. I know I can count on him as a person. As a player, he is extraordinary. He has found himself again. I'm happy. He is a point of reference for everyone due to his seriousness and professionalism. He's a guy full of values. We'll work on the whole project also with the help of Pippo Inzaghi and his reserve team and Filippo Galli." "It doesn't seem that he said anything out of line. Everyone can say what he thinks. I have to show that Milan's choice was the right one." "Mario is a very sweet boy. I'm here to sustain and help him to mature. I know his qualities quite well. I'm very confident. I'll focus on a philosophy of play that I hope can bloom in time. A new path is beginning. You all know about the relationship I have with the President (Berlusconi). The affection I have for him is evident. He's a man who has done so much for Italian and world football. And I'm very honored and happy to have his confidence just as I'm honored by the confidence of Galliani with whom I have a very important rapport. Hellas Verona? A very good side with a great in-form Luca Toni. We'll have more motivations seeing what happened in the first league game against them." "I want to announce that I'll retire from my playing career after 22 years. It's been a tough night but I'm very satisfied from what I have attained in my career. I reviewed the film from my career and made a positive choice... I told my children at dinner and all of them agreed with it. Due to my relationship with President Berlusconi, when he called me yesterday (Monday, 13 January), I couldn't say no. Football is part of my life, but not my entire life. I knew that sooner or later it would have to end. I'm happy to return to Milan, and I stress, I made the decision in the last few days. It (Milan) will be a new challenge, but I'm calm. I don't want to discuss it today because this is the time to celebrate the end of my adventure with Botafogo. This is not a farewell. I thank the fans and wish I could embrace each one of them. My last game, scoring a goal, was fantastic. I've always had the idea to become a coach even if I didn't know when. It's a natural step and it's also a way to follow my mission in life: To look to make the world better towards football. Not as an actor in a leading role but managing the actors and players who are the role models for children. You need to follow your heart. Your head can make you take the wrong decisions, but the heart doesn't." "I know Clarence very well. He was my player and always showed great personality. I maintain that he has the knowledge and capacity to do anything in the world of football. Now he faces a new experience in an environment he knows quite well. That's an important thing. His lack of experience? It's not the first time that Milan made a choice of this type. It already happened with Arrigo Sacchi and Fabio Capello. And in both occasions, things turned out very well. Personally, I hope for the best both for Seedorf and Milan." "My model is Phil Jackson (the legendary coach of the Chicago Bulls and LA Lakers) even if basketball has nothing to do with football... I have an appointment with him and he agreed to meet with me. He made Michael Jackson practice meditation. The Zen Master was able to spread his spiritual values even among the greatest players in the NBA." "I'm leaving after 10 fantastic years. The plan is to continue to maintain a professional relationship in the future if there will be the possibility. I've spent more time here in Milan than with my family in the last 10 years. Now I can continue my career elsewhere choosing between competitive offers. But it won't be easy. I want to make the right choice." 6. Clarence Seedorf was born in Paramaribo, Suriname, which is a small country in South America. He was a product of the Ajax Amsterdam youth system, and currently plays for AC Milan. 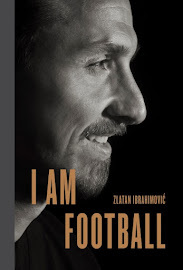 He may be one of the most educated, literate, and versatile of modern footballers. He has a foundation dedicated to young people, Champions for Children, and has begun ON International, which is an entertainment and sports management company. He has won the UEFA Champions League more times than any other player (4) with three different clubs: Ajax Amsterdam, Real Madrid, and AC Milan. He has played over 100 games in the Champions League. He has 87 caps (11 goals) for The Netherlands, and has been a part of their player pool since 1994. He has featured at three European Nations Cups, along with one World Cup. He was named to the 125 Best Living Players List in 2004. He speaks six languages with intriguing candor and fluency. He provided color commentary during a Champions League final first in English and then in Spanish. He makes visits, such as to New York Red Bull last year, to see rather than read about developments in world football. He has designed his own jewelry line. He has sponsored a professional motorcycle team. He has been an editor. A few days ago (April 2008), I read excerpts of an interview that he gave to GQ, although they appeared in La Gazzetta dello Sport. "I will play until 35 or 36 (he is 32 now in 2008) and I want to go to the Euro 2008 and the World Cup in 2010. After that, I'll do whatever gives me the most pleasure. I believe that I will invest significant energies in my foundation, Champions for Children. The connection with Milan is important. We have already discussed what will happen afterwards, but as of now, that won't happen at a minimum of four years." "Not withstanding the system, I am alive," he commented in an interview with the monthly magazine, GQ, for 03 April. "But those who don't have my strength or my brains are cast aside. To resist is a variable for everything that is casual. From the time of my debut in Holland, the press has constructed an image of me, without which I had minimal control. Does it seem just to you that people who don't know me, that don't know anything about you can influence in such a strong way in your life? They cut an image of me that didn't correspond: later, fortunately, I went on the pitch and there the judgment came from the fans." "Ronaldo (Ronaldo of Milan) supports me a great deal," recounted Seedorf. "He also knows how close we come to being cast aside. It works like this: you find a director of sport or a coach who is mistaken (wrong), with which you have a synchronicity, and you are destroyed. Look at what happened to Ronie in the last 5 years before he arrived here. Or what happened to me in Holland. It is only now that footballers have returned to be people." "It is like a meat market," he stresses. "There is a piece of meat in Argentina, that is very good and very rich, and they sell it in Italy, export it to Spain and England. They sell it to the best offer. It doesn't matter where they send it or if it is the right place for your talent. Only money dictates. It's not important for me to follow this custom, to verify if you internalize it, I'll leave it alone to its own destiny. This is the mentality that rules our system of football." That Seedorf is one who doesn't like the current system, one only has to look at the death of Gabriele Sandri: (A Lazio supporter accidentally killed last year at a highway rest stop) he was the only player not to wear a black armband in mourning. "It wasn't for lack of respect, he explains. "But when we went on the field, we didn't know anything. Who he was and what had happened. Nothing. What, for example, if he had been a Mafioso? I respect every human being, but I don't give my solidarity to an assassin. Instead, the football world reverses the responsibility of an event that had nothing to do with football. The actions by the football leaders were an act of fear for the purpose of political coverage. A week later, I put on the armband. But nobody had still explained to me why we didn't do this for Signora Prandelli? (The wife of Fiorentina's manager, Cesare, who died a few months ago). I become crazy when I see certain things. Why didn't we express solidarity with a coach in the Serie A? Or for the atrocious death of Kaladze's brother (his Milan teammate from Georgia) who was held for years? Nothing. Nothing was done. For Sandri there was, who only shared in our world by being a fan." Clarence Seedorf: A man who means what he says, and says what he means. Steve Amoia is a freelance writer and translator from Washington, D.C. He is the publisher of World Football Commentaries since 2006 and The Soccer Translator since 2008. You can follow Steve @worldfootballcm on Twitter. Nice interview. I have always enjoyed watching Seedorf play, he's always struck me as an intelligent and skilled player, now I am gald to read he's also intelligent and compassionate off the field too. Well done Seedorf, a player who'll probably best be remembered as being a winner wherever he has played.